Mangaluru, Jan 24, 2018: An educational institution that is historic and like a mother legions of students who have passed through its gates for a 100 years now is set to celebrate. 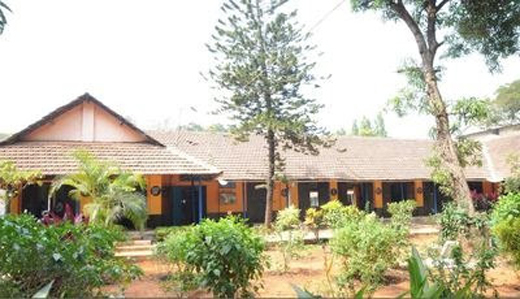 Siddhi Shaale, Gandhinagar Shaale or Dakshina Kannada Zila Panchayat Higher Primary School - with a palpable nostalgic spirit this school that started at Pedlampete as present day Gandhinagar in Namma Kudla was earlier called, will commence centenary celebrations on Republic Day Jan 26. The centenary committee and old students’ association has lined up three-day’s activities to mark the centenary year celebration, said Kishore D Shetty, president of the centenary committee. The school has already organised fancy dress, quiz, drawing and kho-kho competitions for students and sports meet for alumni, PTA and staff in the run up to the celebration. An open-to-all fancy dress competition will be held on the final day of the three-day celebration, he said. Veena B, senior teacher said the school spread over 1.18-acres campus had 1,200 students and 25 teachers when she joined the school in 1981. At present, the school has eight staff and 185 students, mostly children of migrant workers and handful of locals, she said attributing this decline in student strength to increasing penchant among parents for English medium education. The school reached its zenith in 1984 under then headmaster A Stewart when it won the national award. Thanks to donors and alumni, school has seen transformation over the years with facilities such as tiles for classrooms, fresh paint of coat for school compound, interlock tiles outside the school, renovation of toilets, anganwadi and potable drinking water. Alumni turned donors including Ganesh Shenoy, Vittaldas Pai, Annappa Pai, Kishore D Shetty in their own way have given to their alma mater than they got from it for helping them reach where they are today. Dr Vittaldas Pai, alumni from 1970-75 who with his three sisters and two brothers received free education said, barring the Re 1 I paid for school trip and Rs 2 for school day, the education was free. The staff here encourages me to contribute generously to a government school and they ensure that funds are effectively utilised. My sister Vidya Bhushan Lohray nee Pai is donating t-shirts to all students to mark the centenary year, he added.